In my last post I discussed that 3CX is Cloud Ready on Azure. That is a somewhat bold statement considering what it takes to actually architect a correct solution in the real world. There is a lot to consider when designing an IP PBX that is functional and operational, one that you would be proud of. When I say proud, the primary criteria would be that the end users or consumers of the voice service are happy customers, the voice quality is clear, the Apps work, and the phones operate flawlessly. If you really consider all of these factors, on it’s face it seems so easy! So on with the meat of this conversation. There are many designs out there and not nearly enough time to discuss them all here today. I will be concentrating on high level considerations of the IP PBX design, ideas that work and that are practical. Designs that are proven to work and are living in the real world today. The goal of this article is for you to really think about more than costs, to think about a solution that will be highly available and resilient. First, what type of Internet connection do you have? Is it business class? How much throughput is there? Are your users heavy application users or are they using web apps like Office 365 for most of their work? What I am talking about here is bandwidth, simply you need a reliable Internet connection with enough bandwidth to handle voice and data traffic. Then next is your network, do you have a flat network? Which means everything is connected all together on one network. No logical segmentation considerations using VLANs to segment and prioritize voice traffic from data. This concept is very important! Voice traffic hates latency, you have to tell the networking equipment to give it priority over all other network traffic. The result is not a good one if you do not follow this practice. Jittery and digitized voice is the result and a bad user experience. So now let’s move to the compute. 3CX touts that, hey, you can throw this PBX on a Windows 7 box and or a Raspberry PI and your up and running! Wait hold on there! Windows 7, especially versions that are consumer grade are not meant to support a PBX system. Servers are used for that purpose. What do you do whenever you put your 3CX on a Windows PC? You have at the very best a demo environment to show customers, maybe you’re customers would appreciate that, but I promise it will be amateur hour and you do not want a company that doesn’t have the right skills to do it the correct way. You might as well write two checks a cheap one and an expensive one for a professional to come in and fix it! Do it right the first time, you wouldn’t let a student pilot be your captain, hire competent professionals! As with our company like many others your phone is the bloodline of your business. I know you want to save you money and we would like to save you money, but if your phone system is down 20% or even 5% of the time you will have some mad customers! If you are a services company you are really in trouble, as competitive as service markets are these days that first customer will not come back if your phone is down, they will simply move along to another provider of your services. That brings me to another point. Let’s say your company is hosting 3CX on Azure. Will you be using a VPN to Azure or AWS? Do you have a compatible firewall like a Cisco ASA? How do you set that up? What about the network segmentation inside of the cloud? How does the SIP Trunk provider come into play in this situation? Azure and AWS servers run 24x7x365, have you factored the cost for a small instance running that many hours or will you write a powershell script to spin up server(s) early in the morning to cut down costs? We concentrate on medium to big business segments in education as well as financial institutions and I can tell you that these customers want their phones up all the time without fail. When we first started hosting 3CX we tried it in the cloud on Azure, AWS and vCloud Air. At that time it was not feasible from a networking standpoint to handle a hosted PBX environment. On vCloud Air we had the most success because the networking was very granular. However, another consideration was price, it’s to expensive for around the clock operation. VPN setup is horrible and not compatible with a lot of firewalls out there. Since we are a Cisco partner we have that expertise to manage firewalls like the ASA. Networking is like breathing over at our shop we do it everyday and are very good at it. So now I get to talk about what we do at Austen Consultants. We offer Hosted PBX, Citrix XenDesktop (DaaS), XenApp (AaaS), networking, backups, Azure consultation and along with many other offerings. Since this article concentrates on 3CX Hosted PBX let me explain how we differentiate ourselves. Our hosted PBX system is in a ITAR, EU-US Privacy, SOC 1, SOC 2, HIPAA, GLBA, PCI Colo*, and PCI Demarc standards data center. We have five redundant ISP carriers providing redundant circuits. There is a standby power with redundant power companies. Our platform is built on Cisco hardware using VMware virtualization and segmented on a multi-tenant network. Everything is backed up into redundant storage arrays.  Austen Consultants has made a significant investment in time and money to support your Hosted PBX. So in closing, why spend all that time and effort trying to force a round peg in a square hole? Austen Consultants is the very best at providing 3CX hosted PBX. You are going to spend valuable time trying and failing to get a system up “in the cloud”, as well as money. Your IT staff is out here researching this trying to figure out how to hammer that round peg in a square hole. We promise that there is no one in the United States that knows 3CX better than our firm and our customers will vouch for that! You will be happy and so will your internal customers. Let us give you a consultation for free and show you how your 3CX system will be smooth sailing!